Steven Shih Chen was born on 18 August 1978, in Taipei, Taiwan, and as Steve Chen is well-known all over the world as an internet entrepreneur, particularly as a co-founder of the most popular video-sharing website called YouTube. So just how rich is Steve Chen? It has been estimated by authoritative sources that the overall size of Steve Chen’s net worth is over $350 million dollars, as of mid-2016, gained from his association with YouTube and other internet companies. 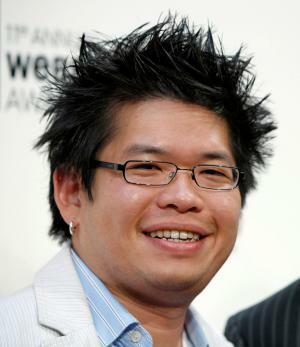 Steve Chen moved to the United States with his family when he was fifteen years old. Steve eventually matriculated from Illinois Mathematics and Science Academy in Aurora, Illinois, and subsequently graduated from the University of Illinois at Urbana-Champaign in 2002 with a degree in computer science. Steve initially work at PayPal, the financial company, where he met his future partners Jawed Karim and Chad Hurley. He was also working at Facebook, but resigned to put all his efforts into YouTube. The video hosting service channel was launched in February 2005 by its three founders Jawed Karim, Chad Hurley and Steve Chen. The idea of the website rose after the friends wanted to share video files which were too big to send via e-mail, and YouTube gives the possibility to upload and watch various video files. ‘Me at the Zoo’ was the first uploaded video file on 23 April 2005 , which shows Karim at the zoo, which can still be viewed today. The popularity of the site grew rapidly – as of the data of 2006, uploads were totalling more than 65,000 files a day, and more than 100,000 files were being viewed daily. Chen began as the Chief Technology Officer of YouTube, which added considerably to his net worth, however, this was to be considerably boosted in 2006, when Google bought the website for $1.65 billion, and Steve Chen’s net worth after this deal was that he received Google shares which a year later were worth more than $326 million. YouTube is the third most visited website on the internet. In 2011, Chad Hurley, Vijay Karunamurthy and Steve Chen launched an internet company called AVOS Systems, Inc. This way Steve and his co-founders have increased their net worth. In the same year, Steve Chen was included on the list of 15 Asian Scientists To Watch by Asian Scientist Magazine – some would say perhaps a little late – which further helped increase his popularity. What is more, in collaboration with one of the co-founders of YouTube, Chad Hurley, Steve Chen created another successful company, the video-sharing service named MixBit in 2013. Thus, these two companies have played a significant role when it comes to the accumulation of Steve’s net worth. In his personal life, in 2009 Steve Chen married Park Ji-hyun, who now is named Jamie Chen – she held the position of Google Korea product marketing manager. Together, Steve and Jamie have a daughter and a son. Currently, Chen with his family currently resides in Tunbridge Wells, Kent, United Kingdom. The family supports the Asian Art Museum of San Francisco.